Any discussion involving data must address security and privacy, especially when it comes to managing sensitive data. We mustn’t forget Code Space and what happened to it after its AWS EC2 console was hacked and its data eventually deleted, forcing the company to close doors forever. By leveraging a remote cloud based infrastructure, a company basically outsources everything it has.Of course, your cloud service provider is expected to manage and safeguard the underlying hardware infrastructure of a deployment, however remote access is your responsibility and, in any case, no system is perfectly secure. You’ll have to carefully weigh all the risk scenarios.After the recent leaks of celebrity pictures and countless millions of user login credentials, the privacy of your cloud-based data is another consideration. How much can you trust your provider? 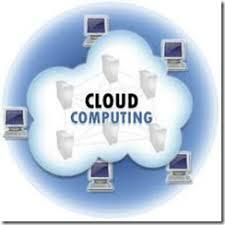 Can you face this, which is one of the riskiest disadvantages of cloud computing?